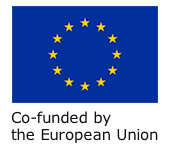 Dublin, Tuesday 26th March 2019 – The European Consumer Centre (ECC) Ireland is urging online shoppers buying from traders based in the United Kingdom to take precautions by thoroughly reading the terms and conditions and paying securely in case there are problems after Brexit. When consumers buy cross-border from a trader based within the EU they can avail of certain consumer rights that are not only part of EU consumer legislation but have also been transposed into the national legislation of Member States. However, after Brexit there could be changes in UK domestic legislation in future which could mean that consumers may not be automatically entitled to the same rights as they have now when purchasing from a UK based trader. ECC Ireland is therefore advising consumers to take precautions by thoroughly reading the terms and conditions, paying attention to returns and cancellation policies, and to pay securely, for example, with a credit/debit card in order to potentially avail of chargeback for problems such as non-delivery and goods that are not in conformity. ECC Ireland spokesperson, Martina Nee, said: ‘Peace of mind and legal certainty is very important when shopping online and that is what EU consumer protection law provides for. However, for cross-border purchases made from UK traders this may no longer be the case post-Brexit. If you buy a good or service from a UK trader, it could be UK legislation that applies to the contract and while it is currently aligned to EU consumer legislation, this could change. There could also be less options for further assistance and redress if the trader fails to respond or the response is unsatisfactory. ECC Ireland has a dedicated Brexit and EU consumer rights page on its website, which will be updated as Brexit events unfold and its impact on consumer rights further assessed.